It’s is very disconcerting to note that in a 2017 film, a woman is guilt-tripped for wanting to have a career. If she has to shine at her job, she must fit in the husband’s wishes and adjust to his ego. That out of the way, Suresh Triveni’s Tumhari Sulu is refreshingly different, because it has an overweight, 12th fail, middle-class, Virar (only a Mumbai-ite will get the significance of that) resident homemaker as its heroine. 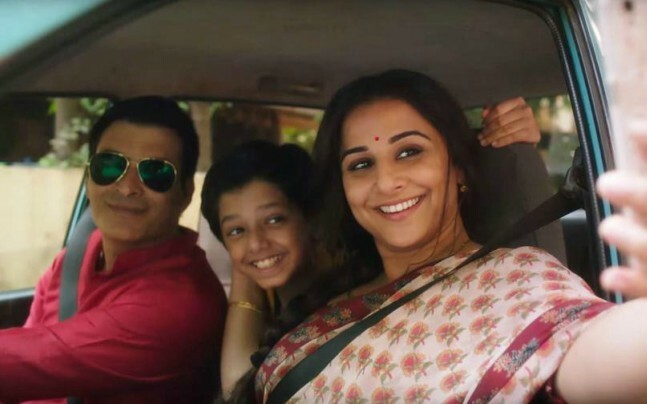 Sulochana (Vidya Balan) gets through most of life’s minor travails with patience and a sense of humour; problems like her twin sisters and father constantly berating her for her lack of education and ambition. But her husband Ashok (Manav Kaul) overworked and underpaid manager in a garment factory, and schoolgoing son Pranav (Abhishek Sharma) love her; there is laughter and comfort in their lives, even if money is tight. Sulochana or Sulu has a competitive streak, whether it’s striving to win a lemon-and-spoon races at Pranav’s school or acing colony contests like fastest vegetable-cutter. There is a lot of warmth and humour till this point, and one hopes Indian cinema has got a character to match the iconic Lucille ‘Here’s Lucy’ Ball, with her exuberance and courage. But then Triveni drops the plot into cauldron of melodramatic clichés, as the husband, who is having job-related issues, starts sniping at her; the kid, for an inexplicable reason does something to give her grief, and the family’s wrath descends on her with full force. If the film remains bearable it’s because Vidya Balan never takes her hands off the wheel, while Manav Kaul and Neha Dhupia offer solid support through their performances. But count the number of women in films, getting ahead on her own terms, without guilt, without having to face negative repercussions for their ambition? The list will fit on the fingers of one hand and Sulu won’t be on it.